Dr. med. 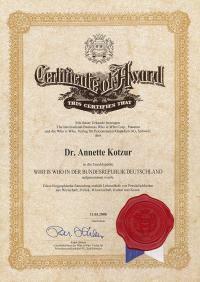 Annette Kotzur opened a plastic-aesthetic surgery in Stuttgart on October 1, 2002. 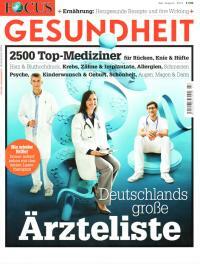 In April 2003 it was enlarged to become Sophienklinik. After her medical studies in Hanover, USA and Australia, Dr. med. 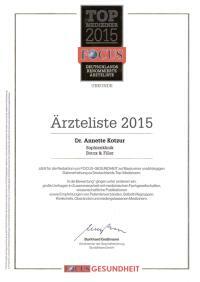 Annette Kotzur specialised in plastic surgery at Marienhospital in Stuttgart and at the University Clinic in Innsbruck. These two clinics are very active in the field of aesthetic surgery. During her specialisation training her main focus was on facial surgery, in particular aesthetic nose surgery and aesthetic breast surgery. Aesthetic facial surgery with special focus on endoscopic surgery, such as brow lifting. Dr. med. 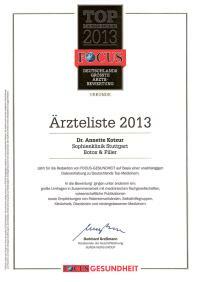 Annette Kotzur regularly addresses national and international conventions presenting papers on plastic and aesthetic surgery and publishes numerous articles in medical journals, medical books and operation videos. 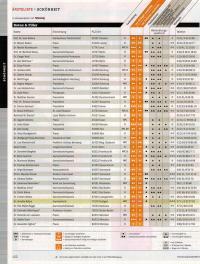 Ist Frau Dr. Kotzur Fachärztin für plastische und ästhetische Chirurgie? Ist Frau Dr. Kotzur spezialisiert auf ein Gebiet?